In that spirit, this year’s first event on April 9th is an open forum with the topic of what campus safety and sexual assault look like here at Southwestern. Any Southwestern community member is invited to come and talk, share their experiences, offer ideas, express concern, listen, and observe this discussion about campus safety. While there will be faculty and staff members in attendance, the forum will be a space for the voices of students to be heard and taken seriously. Two topics that will be brought up include how the #MeToo movement influences institutions like our own, and what ways we can improve our campus in order for safety to be felt by everyone. On Wednesday, April 10th the art show showcasing the work from student Hannah Mitchell will open at 6:15pm, and the performances will begin at 7pm with acts from students and staff members from the Southwestern community. They will present songs, poems, and monologues written by women and themselves, respectively. All performances encompass varying themes of womanhood. This year the show is directed by Trinh Ha with assistant director Madi Wallace. Donations for the art show and performance will be given to Hope Alliance. Hope Alliance is a non-profit organization in Round Rock, Texas that serves people who have been affected by family/domestic and sexual violence. E.M.P.I.R.E. is collaborating with WAW to bring us the Unmasking Masculinity panel happening April 11th. 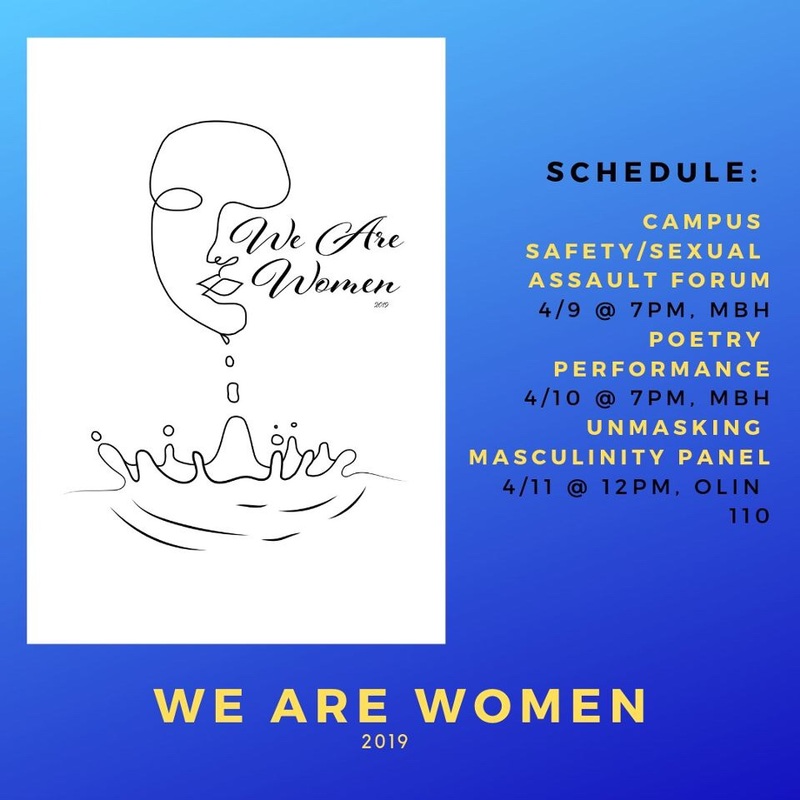 The panel will feature Southwestern students, professors, and staff who will offer their perspective on the topic of toxic masculinity in an engaging conversation. We Are Women is supported by CDSJ, SU Health and Counseling Department, E.M.P.I.R.E., Mosaic, and SUPD. We Are Women would like to thank Mosaic for granting funds for the event.